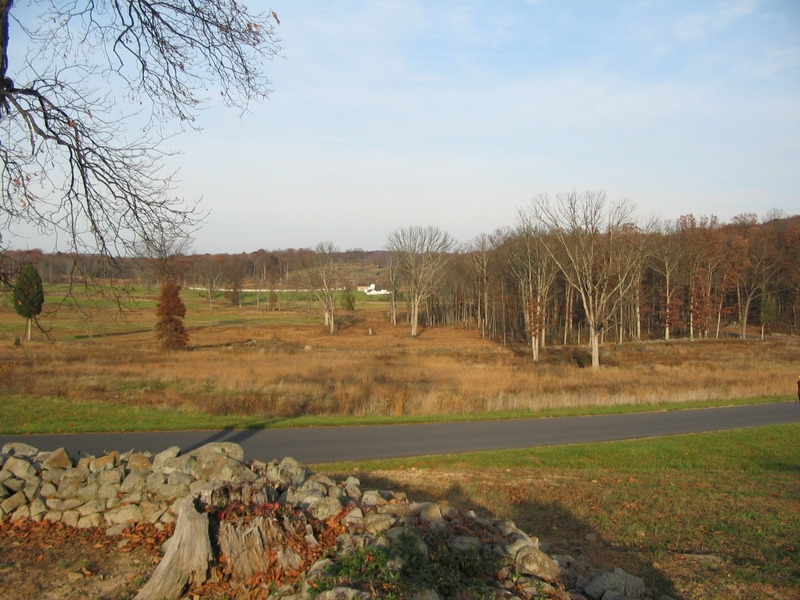 Additional Description: Looking northeast from the tablet location. Several different interpretations exist regarding the ground over which Farnsworth's charge occurred. The park service is in the process of restoring the historical tree lines in this section of the park, which may clarify (or further obscure) the interpretation.